Do you have what it takes to engineer aircrafts, missiles, and spacecrafts? Does the thought of solving complex technical challenges excite you? Are you looking for an opportunity to design, construct, and test aerospace vehicles for top aircraft and spacecraft manufacturers? If yes, then share your resume with us and we will ensure you are placed in a dynamic work environment. Winters Technical Staffing is an aerospace staffing solutions specialist with considerable experience in equipping leading aerospace companies with highly skilled engineers. We have been helping qualified candidates find coveted jobs in the aerospace industry for several decades. We help job seekers identify opportunities across the technical, public and commercial sectors based on their area of preference be it research, design, testing, product support, or management. We can help you identify the right career opportunity in Aircraft, Aerospace, Avionics, Stress, Structures, Systems, Tooling, Hydro-Mechanical, Electrical, Landing Gear, Methods Engineering, Dynamics, Reliability, Quality, Manufacturing, Maintenance – AME’s/M-1/M-2, Production Support, Hardware and Software Integration. 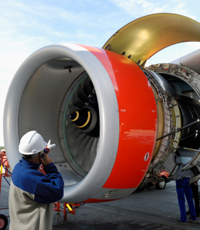 Why Choose Us For Your Aerospace Staffing Needs? Career progression planning: We help you clearly define your career goals and create a plan to achieve the same. Access to passive job openings: Our network of high-level recruiters enables us to connect you to job openings that are not currently advertised on job portals. Resume refinement: We will help you refine your resume to match your skills with those that recruiters are looking for, thereby helping you to stand out among the sea of job applicants in the aerospace industry. Interview preparation: We will prepare you for your interview by making you aware of dos and don’ts. Call 1-877-495-7422 or contact us and we will be pleased to assist you in finding suitable aerospace jobs in the GTA.